Why advertise with Raidió na Life? A full list of prices can be seen on our Rate Card and further information is available in our bilingual Informational Leaflet on advertising with Raidió na Life. 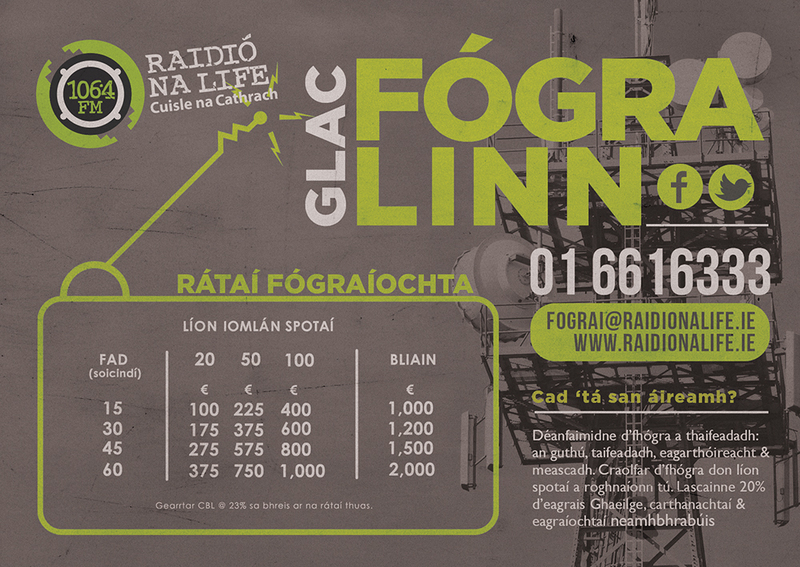 Call us today on 01 6616333 or email us at fograi@raidionalife.ie to reserve your ad.